In order to promote cross-border digital trade in services and goods, the EU has issued a directive prohibiting geo-blocking and geo-filtering. But what exactly does this directive mean? Geo-blocking and geo-filtering: what is it? Surely you know how it works: at the supermarket operated by retail chain A around the corner, you pay 3 euros for a product, while at another outlet operated by the same retail chain located a little further, you only pay 2.50 euros for the same product. And all this because in the immediate vicinity of the second store, there is an outlet of retail chain B that offers the product at a lower price. And in the same way, prices charged by online stores vary from one country to another, depending on the situation in each country. As manager of such a store, you were once allowed to use certain techniques to ensure that a French customer was redirected to the French version of your store, a Belgian customer to the Belgian version, and a Dutch customer to the Dutch version. 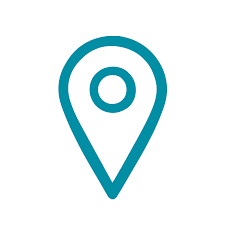 For this purpose, you could use geolocation techniques based on the visitor's IP address: geo- blocking or geo-filtering. Geo-blocking e.g. prevents a Dutch visitor from visiting a German web store or making purchases on it. And geo-filtering automatically redirects the Dutch visitor to the Dutch version of an international web store based on the IP address of the user in question. But both these techniques are now prohibited. The new EU regulation that entered into force on 3 December 2018 (Geo-Blocking Regulation 2018/302) aims to stimulate cross-border trade by eliminating discrimination. This should help promote the single digital market so that cross-border trade can be more flourishing. Because only 7% of all SMEs currently sell their products and services across borders, and web stores are therefore missing many opportunities. With the new EU geo-blocking regulation, you may charge different prices for certain countries, but your customer must be free to choose which version to visit! * If an exception applies, clearly explain (in the language of the interface) why the customer is blocked or has restricted access. * In doing so, do not forget to comply with the GDPR. * goods purchased and collected from or delivered to a particular location. * You are not required to offer cross-border delivery services if you do not normally offer them either. - of which the payment is made in a currency that you accept. You can hold back the goods or services until you have properly received full payment. * Remove any technical code that makes differences in the payment process. Who/what is affected by the geo-blocking regulation? Attention: even if your web store is only aimed at the domestic market, a cross-border transaction can occur when a foreign customer wants to make a purchase in your store. You may not refuse the sale, but you are not required to deliver the goods at the customer's home. The buyer can come and collect his goods or use his own carrier. What products and services are affected by the geo-blocking regulation? websites that only provide information about products and services, but where customers cannot purchase them, are not affected by the new regulation. You will find further details on this regulation on the EU website. As you can see from this table, you can very easily comply with the new regulation by applying some basic rules – and you are free to set your prices as you wish.